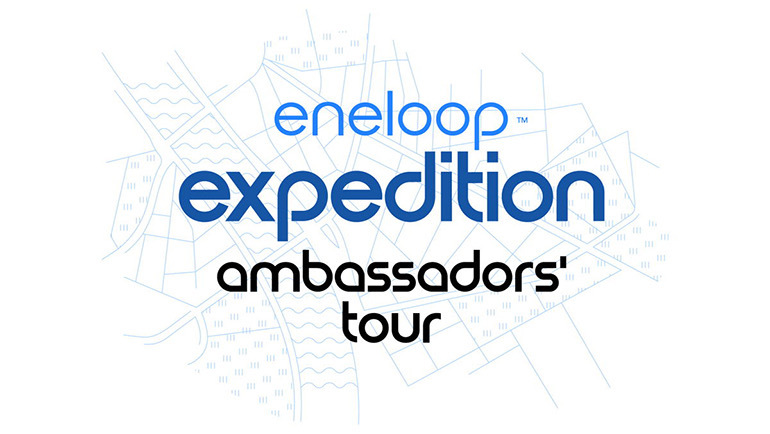 On 22 June 2018, the eneloop ambassadors’ tour will start touring Europe as a follow-up to last year’s hugely successful eneloop expedition 2100. During this tour, twelve two-person teams will travel across Europe in twelve weeks with one common goal: to raise €21,000 to support the environment. The ambassadors’ tour will follow the same principle as last year’s expedition: the promotion of a green and sustainable vision. The participating teams will help to raise awareness using (social) media. Whilst the principle is the same, the implementation is slightly different: each two-person team will now be an ambassador for one week, after which the torch – or better yet, the ‘battery’ – will be passed on to the next week’s team. The collective goal is to raise €21,000 to support the environment. We’ll announce the ‘green’ organisation that will benefit from the prize before the start of the tour. And get as many likes as possible on the shared eneloop ambassadors’ tour Facebook page. For every ‘like’ we will gift €1 to a ‘green’ charity, up to a maximum of €21,000. In total, the twelve teams will cross through thirteen locations during the twelve week period, with the final meeting point in Milan. The challenge is to travel green, build awareness for sustainability, and raise €21,000 to support the environment. Moreover, one team will win a follow-up adventure for two. We’ll find out who the lucky team is after the finale, in which the twelve teams compete against each other with a team video. In Berlin, the winning duo will pass the torch to the next generation. Afterwards we’ll invite the press to present the cheque with the amount of money that was raised by the winners of the eneloop ambassador’s tour.